Laser Dentistry: The Minimally Invasive Dental Procedure You’ve Been Searching For! Dental Technology You've Been Waiting For! Dr. Jeffrey Suffoletta is one of the most reputable dentists in Las Vegas. He has made a commitment to the local community to provide the highest level of quality care available, by keeping up to date with the latest technological advancements in dentistry. He utilizes minimally invasive procedures to ensure that his adult and pediatric patients receive treatments that are safe and comfortable without sacrificing excellent results. Patients can be confident that they will see the results that they need or want due to his professionalism, experience, knowledge of cutting edge technology and his desire to truly help his patients. Laser technology is used for many applications in science because it facilitates higher accuracy and control for the various applications it is used for. In dentistry, the concentrated light beams have proven effective in procedures that require the removal or reshaping of tissues, treatment of infections and improving the results of teeth whitening procedures. The high level of accuracy and control that is possible with laser treatment makes it less invasive and therefore less likely to cause any significant pain. Often pain medications are not necessary thanks to the procedure’s efficacy. Addressing certain dental issues like the removal of inflamed gum tissue often involves cutting, bleeding and stitching when traditional methods are applied. With laser technology, there is minimal bleeding during the procedure. Patients undergoing laser treatments experience a faster healing time due to the fact that there is no cutting and stitching involved with these procedures. Patients are ready to go back to their normal day routines in a short amount of time. Many people dread the thought of spending all day at the dentist’s office to undergo painful procedures. 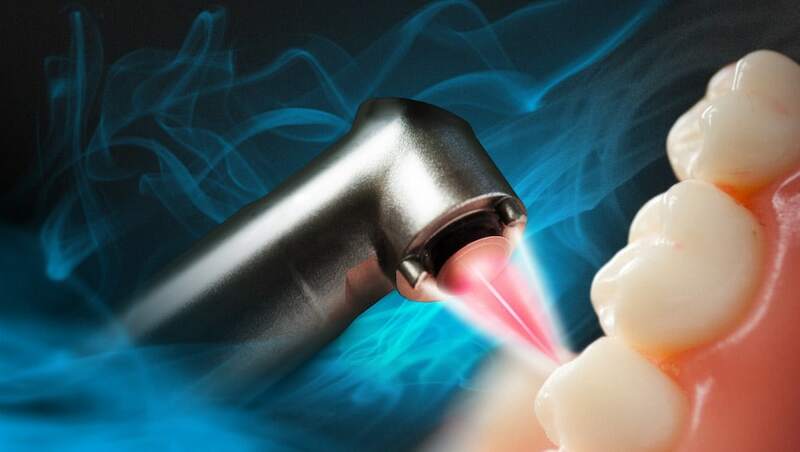 Laser treatments gives the dentist better control and accuracy, reducing the time it takes to complete the procedure while providing the patient with a safe and comfortable experience. Crown Lengthening: Crown lengthening is a procedure that is performed with the goal of eliminating the “gummy smile” condition where the gum creeps too far up the tooth. Depending on the dentist’s analysis additional procedures may be required to improve the solid tooth structure. With traditional treatment plans, this can be time consuming and expensive. Laser treatment reduces the resources and time needed for crown lengthening. Frenectomy: The frenulum is the tissue that attaches the tongue to the floor of the mouth or the gum to the lips. When the frenulum is too long or thick it can cause gaps between teeth, or prevent movements of the tongue and lip. Infants and children often require frenectomies to eliminate the risks of complications. The laser provides the best option for painless and minimally invasive frenectomies. Remove Oral Growth: Laser dentistry makes it possible to remove oral growths without causing trauma. It can treat benign growths that are otherwise difficult to address with traditional methods. This results in faster and a more effective restoration of your oral health condition. 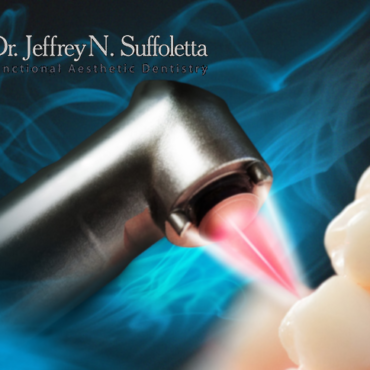 Dr. Suffoletta’s practice stays up to date on the latest scientific breakthroughs to ensure laser dental procedures are safe, comfortable, and take less time to heal. Thanks to his consistency in providing high-quality care, many happy patients in Las Vegas have made him their lifetime dentist, who they can entrust with their oral health. You can call the friendly staff at the helpdesk today at 702-330-4312 or visit our website to schedule an appointment with Dr. Suffoletta.